Specifically designed to handle heavy, big bags of animal feed or fertiliser, the Euro hitch big-bag lifter can lift up to 1000kg and can also be used to lift items in manufacturing plants as well. The lifter has a strong hook and the fenders assist with handling. The big-bag lifter works well with all Farmtrac DT series tractors and can be fitted to other tractor front end loaders that have Euro mounts. It has a two year manufacturer’s warranty and is fully supported by SOTA Tractors. The big-bag lifter can lift up to 1000kgs or 1 tonne. The fenders guide and steady bags, when picking them up. 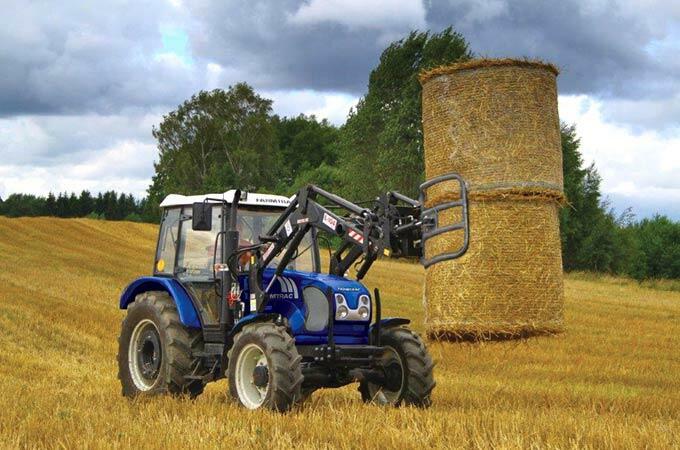 Manufactured in Europe, the big-bag lifter fits any tractor FEL with Euro hitch mounts. 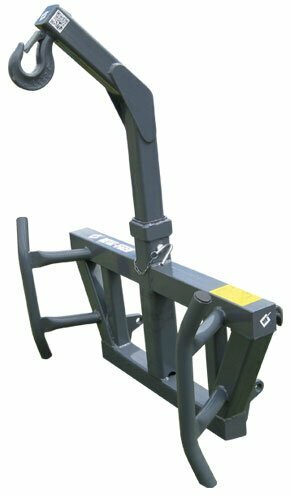 MFBBL1000 Euro hitch big-bag lifter.